Across the construction industry, sustainability continues to be a hot topic. This is especially true in the ICF industry, as the foam-and-concrete building method is particularly well suited for green building due to being more energy-efficient and durable compared to more common building technologies. For more than 15 years, the U.S. Green Building Council (USGBC) has defined “green” through their Leadership in Energy and Environmental Design (LEED) certification program, which awards building practices that the USGBC considers to be best-in-class. While there are other alternative green rating systems, notably the National Green Building Standard developed jointly by the National Association of Home Builders ( NAHB) and the International Code Council (ICC), none have the popular support and widespread acceptance enjoyed by LEED. From the beginning, the criteria for LEED certification has been subject to political pressure, with lobbyists attempting to persuade others why their product, building method, or design values should receive LEED credit. The result of this jockeying is that by manipulating the scoring system, it was possible for a project to be LEED-certified without being particularly energy efficient or environmentally sensitive. Because of the numerous concerns, USGBC agreed to delay implementation at least 12 months to allow for further study and comment. Renamed LEED v4, the new version was finally released in November 2013. The system is so radically different from previous versions that it was phased in over 18 months, finally becoming mandatory in May 2015. The new scoring system has some aspects that may favor ICFs, but other credits have been discontinued. Although designed for the U.S., the Canada Green Building Council (CaGBC) is adopting LEED v4 for their nation as well. However, the Canadian version has minor differences. 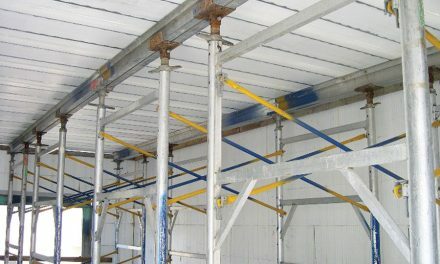 They state, “Because LEED v4 was developed in the United States, which mainly references U.S. standards, the CaGBC will be providing Canadian options to show compliance.” Termed “Alternative Compliance Paths” (ACP), these are usually equivalent Canadian standards that can be used in lieu of in the stated LEED requirements. LEED v4 for Building Design and Construction (LEED v4 BD+C) emphasizes building system performance rather than individual products, in an effort to reward those with a lower total environmental impact. Because of the increased emphasis on energy savings—an area where ICFs have always performed strongest—the new rating system should favor ICFs. Additionally, certified buildings now have to track actual energy usage for five years, which should demonstrate how ICF walls actually perform compared to other alternatives. If they perform as advertised, future versions of LEED scoring may encourage even more ICF use. As with previous versions of LEED, the new system also promotes sustainable materials and environmentally friendly design, construction and manufacturing methods. Lionel Lemay, senior vice-president of sustainability at the National Ready Mixed Concrete Association (NRMCA) says, “Many credits… are refined but maintain the same intent. Others, such as Material and Resource (MR) credits, challenge product manufacturers to disclose their environmental, social and health impacts in third party validated reports.” This is done through encouraging the use of Industry-Wide Environmental Product Declarations (EPDs) which will be discussed at length later. LEED v4 offers certification for eight different building types. 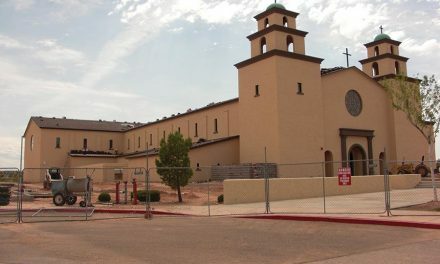 Sustainable Sites: Two points under “Protect or Restore Habitat.” Roma points out that ICF construction minimizes disturbance to existing natural areas by placing wall bracing inside the building footprint and keeping construction activity close to the building perimeter. 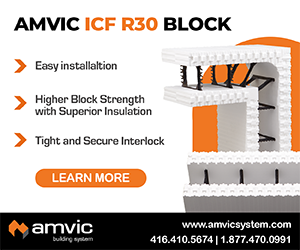 Energy and Atmosphere: Here’s where ICFs really shine. The continuous insulation and air barrier should contribute 18 points (16 for schools, 20 for healthcare) under the “Optimize Energy Performance” subcategory. Indoor Environmental Quality: Five points in three subcategories, including acoustical performance, thermal comfort, and low VOC-materials. Material and Resources: Seven points across five subcategories. 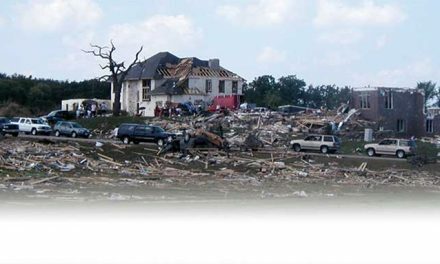 With good waste management practices, ICFs should gain two points under “Construction/Demolition Waste” requirements, and three points more under “Life-Cycle Impact Reduction-Option 4 Whole Building Life Cycle Assessment.” The other four points are in the “Building Product Disclosure” subcategory; two for sourcing of raw materials, and the others for the environmental product declarations which ICFs and the concrete mix may qualify for. Previous versions of LEED that have given credit for recycled material, such as fly ash concrete. However, since virtually all building materials qualified—more than 95% of steel is recycled, concrete is local, and wood is renewable—most of these credits have been removed. 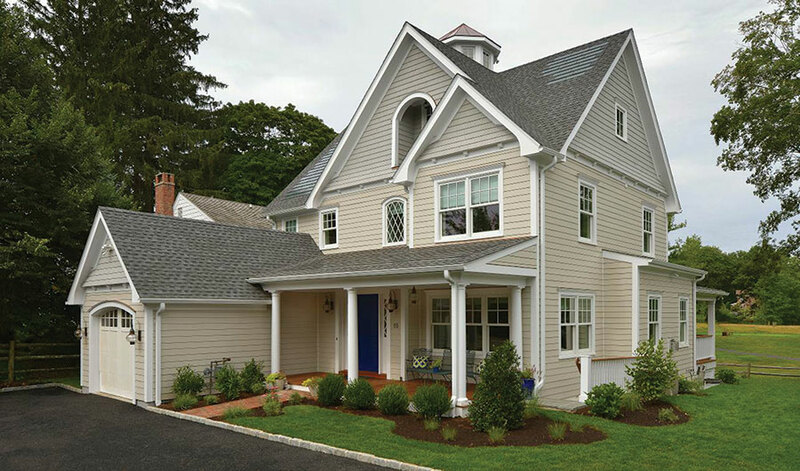 The Shore Road Project in Connecticut was included in the USGBC’s “Green Homes Tour” last year. The home also earned sustainability awards from Department of Energy and regional home builders’ association. As already noted, the USGBC wants to make the total environmental impact of construction products more visible. To accomplish this, LEED v4 promotes the use of Environmental Product Declarations, which must be audited by an independent third party. A LEED-certified project must use at least 20 different products with EPDs. Lemay, at NRMCA, says that for concrete, a “product” is defined by each unique mix supplied on the project. Since concrete can be used for multiple applications with different mix designs, it usually provides several products on a project. 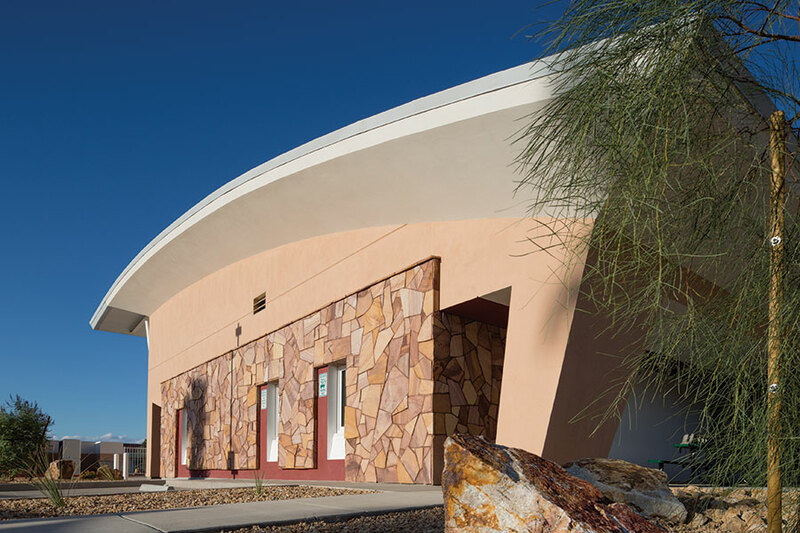 In October 2014 the NRMCA published a report on concrete’s environmental impact specifically to address the product transparency requirements in LEED v4. This Industry-wide Environmental Product Declaration (IW-EPD) represents nearly 2,300 concrete plants across the U.S., and covers concrete’s impact on global warming, ozone, acid rain, smog, depletion of non-renewable energy resources, water consumption, and waste. 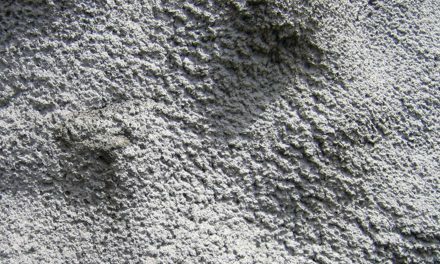 Each of these impacts are evaluated for concrete from 2,500 to 8,000 psi, and in each strength class, various designs are considered from 100% portland cement mixes to mixes with over 50% replacement with fly ash and slag cement. 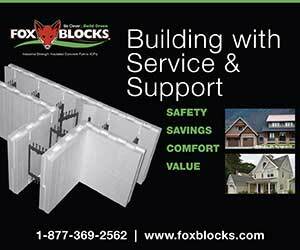 Most ICF companies have not yet published EPDs, but Roma says Logix uses EPS which carries EPD documentation. From the beginning, the LEED rating system was intended to transform the way buildings are built, and over the past 15 years, has been remarkably successful in achieving this. Each new version has raised the bar for building design, construction and maintenance. The new rating system puts additional emphasis on energy savings and building life span, and monitors the actual energy usage of certified buildings for five years. 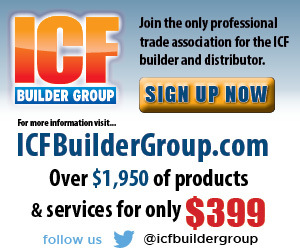 These changes should favor ICF construction. Perhaps LEED v4 will be the spotlight that allows this building technology to finally be noticed by the larger construction and design communities.